Some cases can be easily classified as train wrecks when they appear at our dental practices. Restoring function is even more satisfying in these situations. A 38-year-old patient presented with dentition destroyed by massive erosion and wear. Extreme sensitivity was obvious due to the dentin exposure. After confirming that all medical factors associated with this condition were under control, we proceeded to fabricate a living splint by creating custom temporaries that would allow the patient to operate at a new vertical dimension of occlusion and ensure he could tolerate the change. 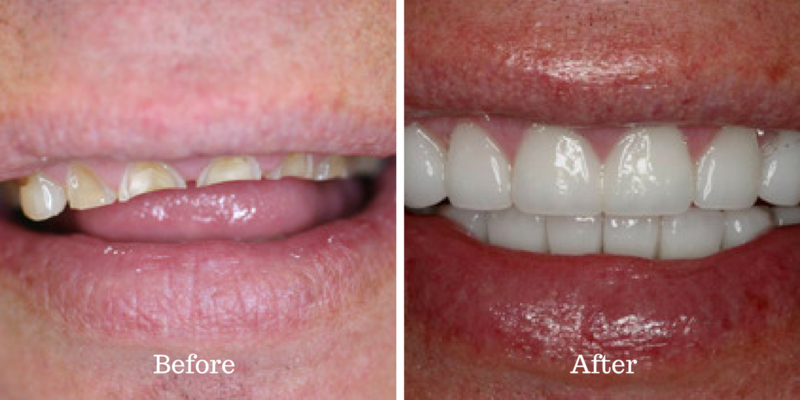 Once the patient had adequately adapted, final restorations were produced by Gold Dust Dental Lab utilizing Ivoclar’s Empress Esthetic material. After cementation and equilibration, the patient was restored to an orthopedically stable position and functions beautifully! The patient was thrilled by the result and 3 months post-operatively has reported terrific success. 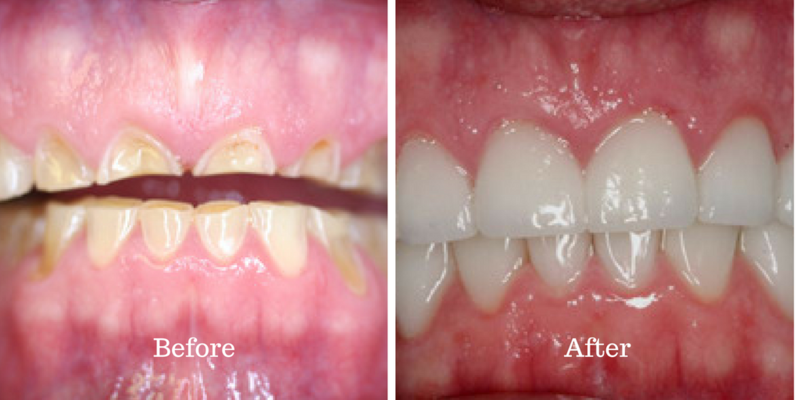 Creating beauty for patients is so rewarding, but nothing compares to restoring function and changing someone’s life. What’s your take on “train wreck” cases? Let us know your thoughts on this case in the comments!